Well, the garden has been looking a bit louche around the edges this month – the salvias have flopped over and the cardoons look dangerously close to pitching drunkenly sideways too (must put in that support post soon…). But there are nonetheless dozens of lovely flowers to look at as long as you concentrate on those and ignore the rest. 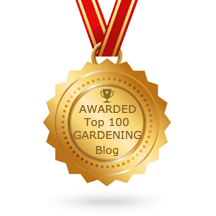 Thanks as ever to Carol at May Dreams Gardens for hosting Garden Bloggers Bloom Day! Great set of photos. I particularly like that Dianthus "Ideal scarlet" . That is a must have for my rock garden. Happy bloom day. Beautiful photographs. Your garden must be wonderful! I can never get a decent shot of my Perovskia, so I'm most jealous! I chuckled when your aubergine flower appeared :)I was pleased to see Hampton Court Gardens in Herefordshire also have some plants flopping all over the place. They do a nice line in floored Eryngiums, just like I have! Lovely portraits of your August blooms!